Donations will go towards college campus visits, travel costs to Stanford, UC Davis, Cal Poly, Berkeley and more! Your donation is vital to our success and future. Donations will be used to cover the cost necessary to have this college trip including travel, hotel stays, admission tickets, breakfasts, lunches and snacks. San Diego HS family, friends, and fans - Thank you so much for taking the time to view our fundraiser page. Your support will help us offer a higher quality experience for all our students. Your donation is tax deductible and you will be getting a receipt for your gift. If you could please spread the word about our fundraiser by sharing it with your friends on Facebook and Twitter we would greatly appreciate it. Our students have been working hard to properly represent this great school and city. Any support is greatly appreciated. 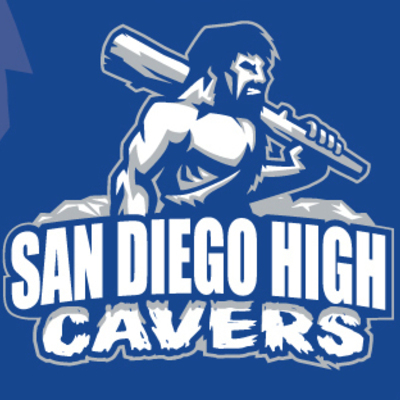 Go Cavers! Tax Deductible Receipt! Thank you! "Be safe....this means YOU Lewis Poor...Love, Nonna and Bobbo"
"Hope you all have a safe trip! Glad to do anything to help my AWESOME nephew, Lewis Poor!" "Hope this helps. The 11th Grade College Trip was one of the highlights of high school for me. " "Have fun! Learn a lot!"